Our newsletter has a new name. “The Open Door” was suggested by two volunteers. 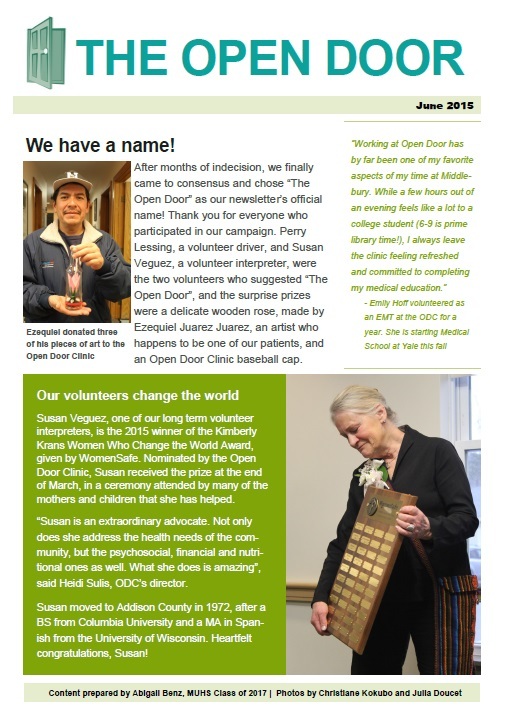 Read about changes in our team, a new story-telling project, our award-winning volunteers Susan Veguez and Nathaniel Cobb and more!